but sadly the brakes on BigSi's car are the pre-85 Girling, not the post-85 Brembo. Ah sorry guys, I will donate some more $$, have a bunch of spares around but unfortunately all are for my 89 turbo. How about we set the deadline for this project to coincide with either the LEW/LEF Oxford meet or Castle Combe? I had the idea while chatting to Cliff yesterday and it seems a good one as we can send a couple of cars to pick him and Kelly up and it's an inocuous excuse for a day out, without thinking anything special is up. or we can stick with the castle plan which is also an excellent one and allows some flexibility with timings? Eithers good mate.....with enough notice. I think the Oxford meet would be a great oportunity to present Si with his car, is Troy confident he can get evrything done in that timescale? Either seems superb to me, provided the dead lines can be met. I would like to help, but I am still poor student and I just crashed my bmw before sale. Anyway go ahead I'm crossing you my fingers! Proberbly little bits to follow but thats it for now. Name: Rob C.. ..the kids now call me "DOC"
Hi Guys...I'm gob smacked at the responses you have all made.....I've quickly looked at them..wonderful help and Guidance for one Man and his Toy, it took me some time to come to terms with my accident back in 2004..and that was just to understand exactly what our wonderful group of petrol heads from back then, 60 cards letters gifts sent to the hospital alone....now its my time to say to you all FANTASTIC..what a lovely group of wonderful guys and dolls you all are...keep on being this way..its why Lotus is what it is. 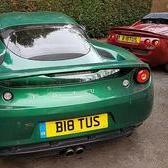 Would like to mention Andy has just started working for himself full time as a Lotus specialist he has an SE Esprit himself and has a wealth of experience, we have been good mates for about 12 years now...Andy's Number for help and guidance are 01656 840569 or 07732 194238..
been trying to get Andy hooked up with us lot for ages..by getting him to come to the Oxford Gigs...One Day...!!! Plus me as the old fart I do know a bit about the Esprit as well of course..if I don't..then I'm in real trouble trying to bring together 500bhp..one day. Has anyone spoken to the big one since his car went awol? Without his car to occupy him, he may get pretty down (although the opposite might also be true). I know you chaps have been great with the mental support, I'm just concerned that with all the focus on the car, we don't ignore the man himself. How much does Si know about what is going on? Would it be possible to post some not-too-revealing progress photos, perhaps sent to him personally so he can add them to his thread himself? We could even be really sneaky and give him the impression that progress is steady, but really slow. If the last pics before we do the hand-over shows his car in bits, he'll be all the more surprised. Am I evil or what? Out of interest how are we doing on the money side ? Do we still need to make a big effort ? That's very hard to quantify John as we've got a fair amount left but we're not sure of what problems are going to appear. I'm currently working on sourcing a part which we need that could take up a third of the budget, but we may get lucky and find it cheaper which leaves more for the extras. For those who won't know me (and you probably won't) i'm Bantambunny (Nick) off the 300zx.co.uk site. Apologies for myself not getting involved helping out the weekends you got the gang together. I've been without car after a little accident so couldn't get over. Thank you all for doing this for si, he's a top guy, i spoke to him on the phone the other day he sounds alot more lively and his speech therapy is working wonders, such a huge improvement. Any piccy's of the progress on the car bibs? Hello Nick - did you get my email a week or two ago? What the heck did they give him a lifetime ban for? As you may have noticed, bigsi is asking about the carpet set for the boot that I've got, and I'd happily donate it to the cause! Tis a bit mucky with a few poppers missing, and one part with a solid backing is a little warped, but if you think it'd be useful then I'd gladly give it to ya! Anyone got any idea as to whether or not you can machine wash them? Tim, would not advise to machine wash. Carpet shampo or carpet cleaner would be best. Tim that would be great, please PM me and I'll send you details of where to send them.